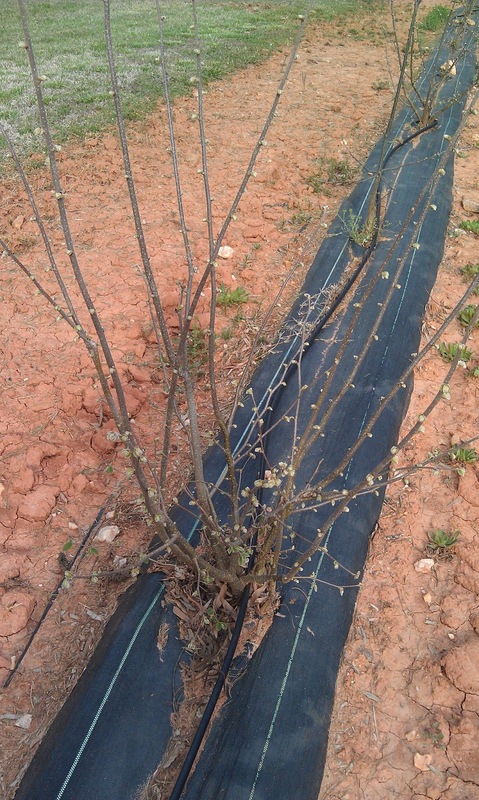 Truffles NC Black Truffle Products and Information: Spring Finally Arrived!! 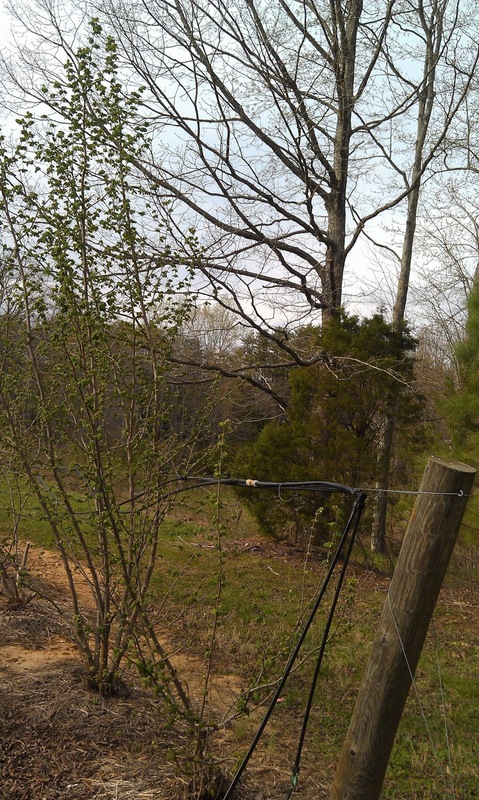 Trees Budding out Like Crazy!! Spring Finally Arrived!! Trees Budding out Like Crazy!! These trees are looking so good!! 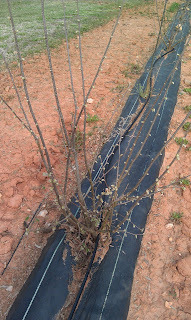 All the pruning, fretting and hand wringing must have done the trick~! I get totally excited when the leaves come out and every tree begins to green up. It's such a feeling of renewal! More 9 Year Old Trees - Gorgeous! Here's what's been going on here at the farm. 1. 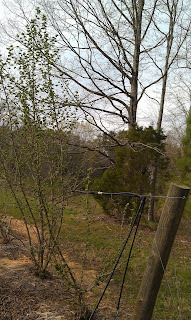 We pruned every single cotton picking limb that showed the signs of Eastern Filbert Blight out of every single tree. We watched as the sucker limbs sprouted up and will watch them VERY closely for signs of the dreaded EFB but, so far, so good. 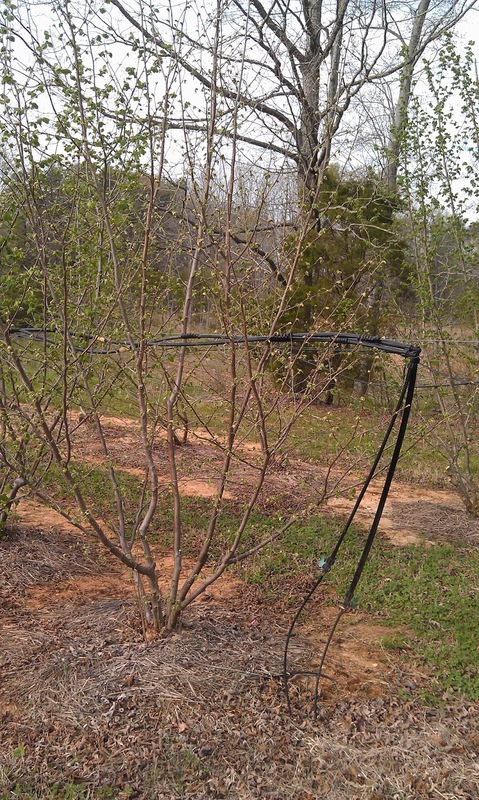 We believe it is possible for us to manage this disease in this orchard in a different way from the way we treated the original orchard and keep these trees alive. We started last week with the foliar feeding program that may be our salvation. Keep your fingers crossed!! 2. We tried working with a high school senior as an intern. Not a total waste of time for us - but almost. I don't think he had a clue how much hard work and repetitive (sometimes monotonous) farm work can be. We will try again with a longer interview process if another candidate presents next year. 3. I accepted the position as Executive Director of the North American Truffle Growers' Association as of March 1. That's my excuse for not writing here since the Truffle Trifecta Dinner. Now, about that dinner -- It was a huge success. We managed to raise $3600+ for the BackPack Program of Second Harvest Food Bank. (See separate post for all the details) Stay tuned to this blog for posts regarding the Truffle Trifecta 2014 -- next year's bigger and better event in Winston-Salem. 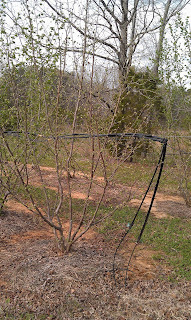 In other news from Keep Your Fork Farm, we might start having regular farm tours on the last Saturday of the month. Lots of folks call or email about farm tours and sometimes they schedule a time to come visit. We spend an hour or so with them and share our experience allowing plenty of time for their questions. Then we sit down and share some of our truffle products with them and it's always enjoyable. If we offered these tours on a regular basis and kept the numbers to around a dozen, I think that would be fun. What do you think?